Nothing is more uncomfortable than knowing there is an unsightly gap between your back and your pants. Nothing, that is, except for an uncomfortable belt that doesn’t even do its job! Most of the belts out there don’t offer the trifecta that plus-sized women are after: comfort, support and style. Instead, they offer a laughable lack of support that causes them to pull up their pants every two minutes, a lack of comfort that leads to constant readjustment breaks that ultimately don’t help and a lack of style that can ruin even the best-planned outfits. On top of all that, most belts create an ugly bulge in the number one spot most plus-sized women don’t want one: around the waist. Wouldn’t it be great if there was an adjustable belt that combined comfort, style and support? That where Beltaway comes in. 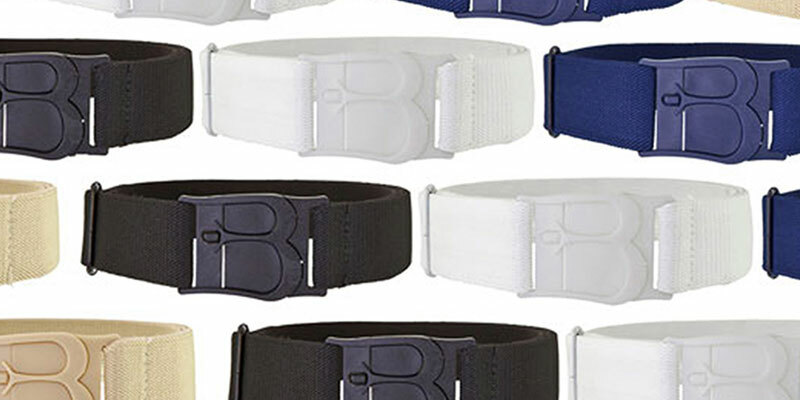 Made from a stretchy elastic material that virtually disappears when you put it on, Beltaway adjustable belts are like a godsend for plus-sized women. They are incredibly comfortable because they contour to the shape of your curves, and their stretchy design offers support like you wouldn’t believe. It’s so comfy that you probably won’t ever have to adjust it, but if the occasion arises, you can do it while wearing the belt! No more embarrassing fiddling with your belt under the table or having to excuse yourself to make an adjustment. You’ll never ruin another great outfit with an unflattering belt again. Beltaway is available in a variety of colors, including black, denim, white and sand, so you’ll always have the perfect go-to belt for any outfit. And best of all – it pretty much disappears when you put it on. You won’t even notice when you are wearing it because of the effortless style and comfort. If you are a plus-sized woman in need of comfort, support and style, check out Beltaway today! This entry was posted in Blog Entry and tagged beltaway, Elastic Belt, Flat Buckle Belt, Invisible Belt, Plus size, Stretch Belt, Travel accessories.